This feature is only available for AFSIA members. SIGN IN. If you are not yet AFSIA members, please click here. 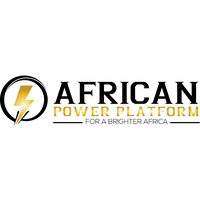 The African Power Platform was born from the need of being able to find all the players of the power industry in one place. There are many barriers to entry in Africa, and one of them is the lack of useful intelligence. The African Power Platform is on a daily basis advocating for taking access to power to every corner of Africa. AGSI (Association of Ghana Solar Industries) is an industry association, founded by Ghana solar industry stakeholders to help provide a joint forum for discussion of current industry issues. ​Established in March 2006, AGSI is open for membership to solar industrial companies, other renewable businesses and individuals in Ghana. ​​Our goal is to seek a common front and to provide representation on the development of alternative energies in Ghana. It seeks to achieve this through consultations with the appropriate state agencies, donors and the private sector involved in policy formulation and regulations.re to edit. We are a next-generation utility platform, powering growth and transforming lives in developing countries. We are generating impact by improving customers’ quality of life through provision of affordable, clean energy solutions. 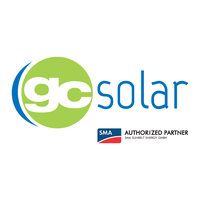 Today, we offer pay-as-you-go solar power. Our aim is to expand rapidly to provide other vital utility services, such as cooking, internet access and water. 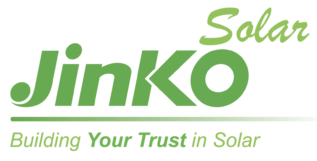 We are constantly searching and realising innovative solutions to provide the best value services to our customers. At the heart of BBOXX is our pioneering management platform, called Pulse, which continuously collects data and insights, enabling us to provide our services to previously unreachable populations. We are operating in 12 countries, including Rwanda, Kenya, Togo, DRC and Pakistan. DuPont Photovoltaic Solutions is the leading supplier of specialty materials to the solar energy industry, with a portfolio of products with over 40 years of service that deliver proven power and lasting value for the fast-growing photovoltaic sector. We aim to increase efficiency well beyond 20% and extend system lifetime towards 40 years, while increasing system safety and reducing costs. This will help enable solar to achieve grid parity broadly and create a more sustainable and viable global solar energy industry.Our product portfolio comprises: DuPont™ Solamet® photovoltaic metallization pastes that help significantly increase the efficiency of solar cells and the power output of solar panels, and DuPont™ Tedlar® PVF films, the only film for solar panel backsheets, with over 30 years of proven performance in the field. A leading international law firm recognised by Acritas as a Global Elite Law Firm, we regularly advise on billion dollar deals and high profile cases on behalf of the world’s most powerful corporations and financial institutions. We are committed to promoting the conservation of natural resources, preventing environmental pollution and continuously improving our environmental performance. We have identified our significant aspects as energy and paper usage, travel, and waste production. We regard environmental regulations, laws and codes of practice as the minimum standard that we should aim for and actively work towards exceeding these benchmarks. We raise awareness of this policy through guidelines, internal communications and staff training and will ensure it is regularly reviewed and updated where necessary. Sterling and Wilson started with its solar EPC business in the year 2011. The division was formed to tap the growing market potential of renewable energy in India. Gradually the business grew manifold and made a remarkable presence on a global landscape. In 7 years of its establishment, the division has a portfolio of over 6 GWp of projects at various stages of implementation globally (as on Jan 2019). Sterling and Wilson Solar, now a demerged company of Sterling and Wilson Pvt Ltd, is building some of the landmark projects across the world such as 1177 MWp single location solar PV plant in Sweihan, Abu Dhabi, which is believed to be one of the largest in the world. Offering one of the best services in the industry, Sterling and Wilson Solar is managing a portfolio of 5.78 GWp of Operations and Maintenance globally. With presence across 25 countries, Sterling and Wilson Solar expects to be a key contributor towards growing commitment of solar energy in the world. Sterling and Wilson Solar was named as the leading solar EPC company (outside China) by IHS Markit (Solar EPC and O&M Provider Tracker report, Q1 2018). THEnergy is a consultancy firm highly-specialized on microgrids/mini-grids and offgrid renewable energy. We focus on commercial and finance solutions and also cover technical aspects in larger projects. We started in large-scale solar-diesel hybrid projects for the mining industry. Over time, we also have added smaller applications such as off-grid renewables for hotels/resorts and rural electrification.